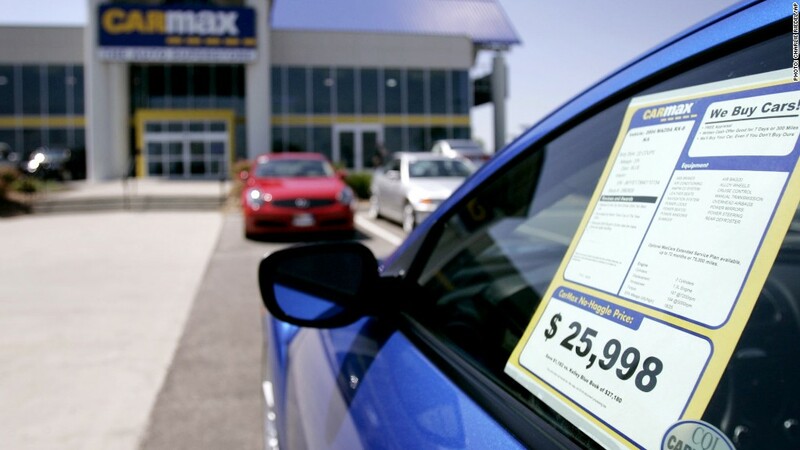 Car sales are up, but more Americans are falling behind on their payments. More Americans are falling behind on their car loan payments. But they're still doing a much better job of keeping up with their car loans than with their mortgages or credit card payments. Reports from two credit tracking services, Experian and TransUnion, both show an increase in the number of car buyers who are 60 days or more behind on their car loans in the third quarter. TransUnion says there was a 13% jump in delinquent loans. Experian reported a 9% increase. The rise in late payments is partly due to the fact that car sales are up alot this year. Car prices are up too, so the average size of a car loan is at a record high according to Experian. Another factor is that more used-car buyers need to borrow money to make their purchase, according to Experian. And those buyers are more likely to fall behind on their payments. Lenders are also more willing to make loans to buyers with poor credit. About 36% of new-car loans are now made to subprime borrowers, according to TransUnion, up from 31% in 2009. But even though more car buyers are in default, only about 1% of all auto loans are 60 days or more past due. Meanwhile, about 3.2% of home loans were 60 days past due in the third quarter, according to the Mortgage Bankers Association, excluding foreclosures. And the credit card delinquency rate stood at 2.25% in the second quarter, the most recent figures available.